Once you're in the Steam group though, you're only allowed to enter group giveaways if you've been active (we won't post our requirements/definition of "active" so people can't abuse that information). PLEASE DO NOT REQUEST TO JOIN THE GROUP WITHOUT HAVING BEEN ADDED TO THE WEBSITE! Request to be added to the website in this thread first! If you don't know where to start on the site, read this guide, and/or this guide. Extra info on image formatting. I just joined, and the site isn't showing achievements for my games. Help? The site starts compiling everything starting with your first login, so if you just used it for the first time, just wait a few hours. Same with new achievements and game additions, just give it some time. Read this getting started guide, and/or this guide. How do I get into the Steam group? We add everyone who applies in this thread to the users of our website, meaning after you login there with your Steam account for the first time, you can use it as a regular member. Steam changed how groups manage new members and we can no longer invite people we aren't already friends with. So after you're added to the website and have been using it for a while, request an invite to the Steam group if you want to join. We'll review your request and accept it if you have indeed been active on the site (for at least 10 days, but depending on frequency and extent of activity, might be several weeks until you get an invite). I applied in this post and didn't get invited to the Steam group. What are the benefits of being in the Steam group? You get to post on the forums and* join giveaways that are shared with the group here on SG! But remember that we're not a giveaway group and there aren't many running giveaways at any given time, so you're really not missing much if you're not in the Steam group. Why did I get kicked from the Steam group? There's really only one rule: Don't join group exclusive giveaways (i.e. not shared with any other groups or the whitelist) if you haven't been active on the site for a while. A "while" can be anything between 14 days and over a month, depending on your usual activity (e.g. members with huge monthly posts won't get kicked for joining a group exclusive GA 4 weeks after their last post, but someone with who usually posts short updates like "I finished this game, it was fine" every few days and hasn't posted in over 2 weeks might get the boot - this is examined on a case by case basis, any kinds of posts are fine, just be aware of this when you want to enter a group exclusive giveaway AND stay in the Steam group). I got kicked out of the Steam group, can I still use the website? Yes! You can use it just like before, nothing changes for you in that regard. I left the Steam group. Does that affect site usage in any way? No, but please let us know about it, especially if you don't want to get invited back into the Steam group, so we can make a note of it and don't spam you with invites when you're active on the site. syncing probably takes a while does it? Oh, open again :) Was waiting for this moment because I really like the site (from what I can see as a visitor) and even more 'cause the group I used to post my progress kind of seems left on its own. Sorted most of my library this morning - though I've caught up on bundles since so there might be a few stragglers. Profiles set up as well. Taking advantage of the free weekend to get some Vermintide in but I'll be digging into my first batch next week. That's great! You don't need to post updates in this thread though, you can post them in the website itself. :) And there's absolutely no rush. I'm interested in trying out the website! Seems like a pretty cool idea. Just wanted to say, I like that new website style! Also does stalking people count as being "active"? 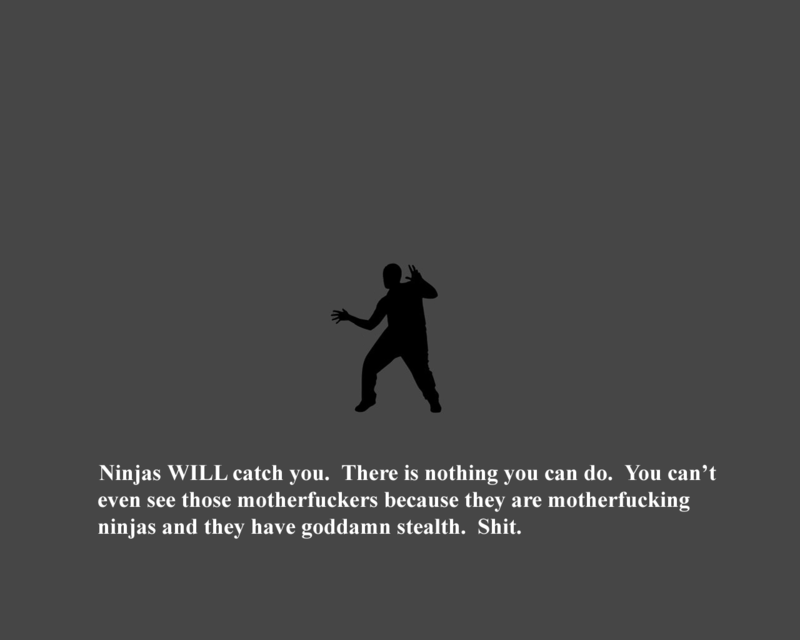 Curse my natural ninja skills. I just added all my games to Backloggery.com, but why not join this site too (If you'll have me)! Not really sure where else to put this so I'll stick it here for now. Just clicked the Bugs & Suggestions link on the site which takes me to the steam group where I can't post as I'm not a member. The posting privelages for the Game Website subforum might want adjusting now that the memberships aren't the same. I'll let him know we'd need a place on the site for this, so he can maybe make a sticky post in the forum with a link & explanation or something. It's beena while since I rana group, thought you could set permissions differently for each sub. Should have known that was far too sensible for Valve. Thanks for the invite. Kentucky Fried, Sadistic, Fil-A'ed. Whichever you prefer. 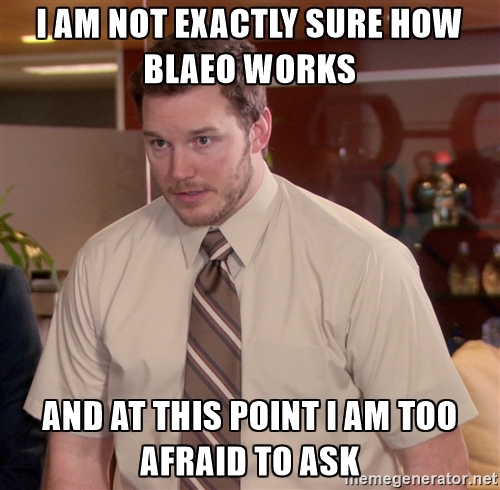 I never even heard of it... Had to google. I would like to be a ninja !! Much like the pharaohs of old, I intend to be buried with my PC so that I might carry on playing and hunting achievements in the afterlife. Maybe then I'll finally get a handle on all the games I want to play, 100% and write reviews for. What's that you say? The Steam summer sale is starting soon and we're all going to add another 50 games to our backlog and will do now and for ever until the end of time? Summer Sale... If only, I joined up and started tracking at the beginning of the month. I've added 40+ games in the first week. What with bundles, freebies and card sales I can probably count on one hand the games I've actually bought outright this year. Sales help but you can amass a healthy pile even without them. For sure. I buy mainly during sales, but in the past few months have discovered Steamgifts as well as loads of places handing out freebies and am starting to invest in bundles. I'm getting way more games than I'll ever be able to keep up with. Which, as complaints go, is a pretty good one to have, ha. This may finally give me the motivation to attack my backlog... Can I have an invitation? How do you all classify "Completed"? Take for instance a game like Kerbal Space Program... I have played hundreds of hours and I am not sure I will ever really be done with it? Or how about games that you have played enjoyed but have had enough of? Should these get marked as completed or never play? Sorry for all the questions, I don't want to mess up the statistics on the site. Don't worry about the statistics, they're not really up to date anyway, and there are still a lot of members who only categorized part of their library so far or nothing at all. As for the categories, you're free to use them as you want, I myself use completed for games without achievements where I beat the story and afaik have nothing left to do as well as for 100% achievement games (or those with broken achievements/only speedrun or something like that left, usually I don't do those). Beaten is for games where I finished the main story and still have stuff left to do (side quests, more achievements), but I'm done with the game (ready to uninstall/unlikely to ever play again). Unfinished are all the games I started at some point but, well, haven't finished yet. Never played is everything else, games I've never even installed so far. For endless/MP you can make custom lists and then sort the games into the categories according to how much you've played, e.g. if you think you've seen everything, add it to beaten or completed (your choice), or if you've only played a few levels/rounds/whatever, mark it unfinished. When you look at the category lists later, you'll see your "Endless" or "Multiplayer" tag next to those games. TL;DR You can define those categories yourself, there's no definitive definition/rule about those in the group. My backlog is growing exponentially - I need to get it under control! I just reached my 500th Steam game, so it's time to start my attack on the backlog! Can I join? This would be useful for helping me go through my games! Hello, my name is Gamecreature and I have a backlog. he he, can i join the group again? i know i kid of abandoned by thread a bit, but i was keeping up until i started playing Dark Souls, that game absorb me, and i fully intent to keep going. Closed 4 months ago by nellyneko.